Experience this extraordinary meeting of two shining gems of inspiration drawn from the stream of Vedic wisdom. 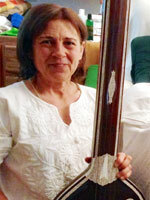 Yogacharya O’Brian will read from her much-anticipated new book, The Jewel of Abundance: Finding Prosperity through the Ancient Wisdom of Yoga, paired with classical Indian music with masters of sarode and tabla, Steve Oda and Michael Lewis, accompanied by Pushpa Oda on tanpura. A night for the soul with ragas and readings that enchant the mind and speak directly to the heart. 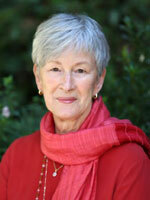 Yogacharya Ellen Grace O’Brian is an award-winning poet, Kriya Yoga teacher, writer, and the spiritual director of Center for Spiritual Enlightenment. Steve Oda first learned to play slide guitar and then jazz guitar. His love of musical creativity led him to the classical music of North India and the sarode. He studied with the legendary Maestro Ali Akbar Khan. 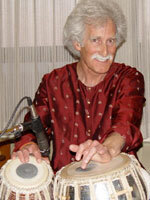 Michael Lewis is one of the finest American tabla players today. He is a disciple of the late Ustad Allah Rahka, and longtime student of Ustad Zakir Hussain. 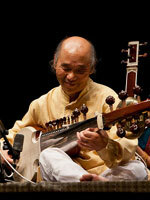 He has accompanied many renowned Indian classical artists. Pushpa Oda, a Kathak dance disciple of the late Sitara Devi, will accompany the ensemble on tanpura, a five-string drone instrument.